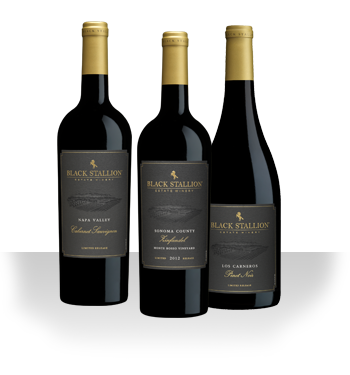 The Black Stallion Estate wine clubs include our Limited Release, Collector Edition, and Prestige wines. 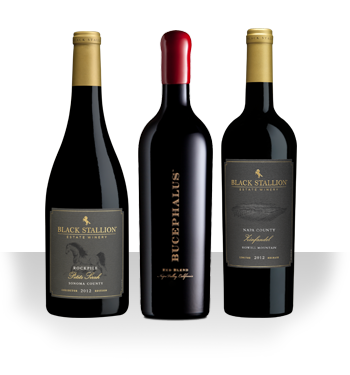 Most of the wines are only available at the winery and the Collector Edition wines are only available to our Wine Club Members. The wines ship quarterly in March, June, September and December. 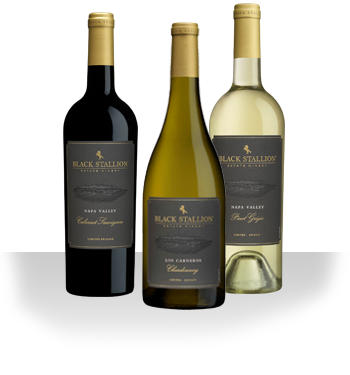 Benefits of membership include, 20% discount on wine and gift purchases, 25% discount on re-orders, gift with each shipment, complimentary bar tastings for up to six guests, complimentary tours and private tastings by appointment, invitations to wine club events, exclusive special offers, referral program and special pricing on private events. Choose from Reds Only, Whites Only or Mixed. Choose from Reds Only or Mixed. Shipping included on all purchases.